Your smile is the first thing most people notice about you. Are you happy with the color of your teeth? If the answer is no, there IS something you can do about it. Dr. Thomas Vutech can help you get a white smile using the latest in "laser" teeth whitening technology. The ZOOM! 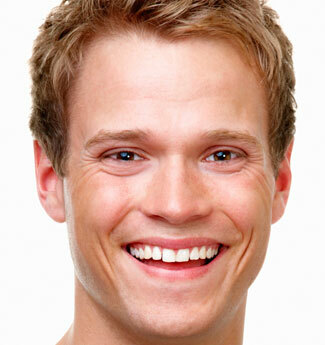 tooth whitening™ method is the same system used on the TV show "Extreme Makeover." This light-enhanced chemical treatment can get your teeth up to 8 shades lighter in just one hour. Come into our office over your lunch hour and leave with a whiter, brighter smile. Our staff is fully trained in the use of this tooth whitening technology and we have helped hundreds of people get the smile they've always wanted. You can have confidence in our experienced and professional staff. Our office has chosen to offer the ZOOM! Tooth whitening method because it has been proven safe and effective when performed by a dental professional. 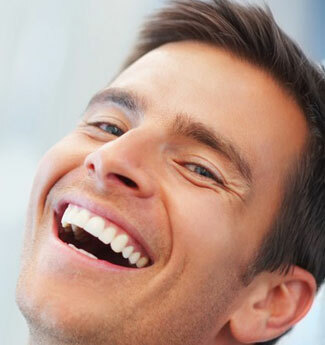 The procedure is fast and convenient and it provides longer lasting results than many other teeth whitening methods. We believe it is the best tooth whitening technology around. Most patients experience no pain with the ZOOM! whitening treatment. A few patients experience tooth or gum sensitivity. There are special gels that can be used during the procedure and toothpastes that can be used before and after the procedure to minimize sensitivity. Some of our patients prefer to use a home whitening treatment. We do offer at-home treatments, both for initial whitening and for follow-up whitening months after receiving a ZOOM! treatment. If you're ready for a brand new smile, schedule a consultation to learn more about ZOOM! "laser" teeth whitening. Contact our office online or call 401-294-3533. Our dental office serves all towns in Rhode Island including North Kingstown, East Greenwich, Narragansett, Warwick, South Kingstown, West Warwick, Coventry, Cranston, Charlestown,Providence, Johnston, Portsmouth, Jamestown, Newport, Middletown, Exeter and West Greenwich.